Don’t let water destroy your floors, decks or pavements. 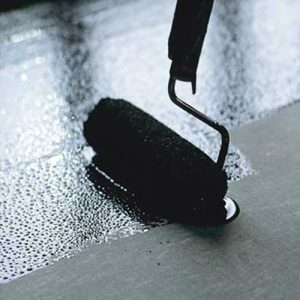 Waterproofing and coatings such as waterproofing tile decks in Los Angeles is the key to protecting your structures from moisture damage and key to avoiding expensive repairs later. At All Weather Waterproofing and Coating Inc., (AWCCI) Quality is our Commitment. Since 1996, we have built our business on the overwhelming referrals of our satisfied clients whose homes and businesses we did waterproofing and coating in Los Angeles for. Through our long term experience coupled with our constantly updating knowledge of methods and materials, We have gained high recognition and trust of those whom we have served. Those who have used our company, have always received the highest quality of work for the lowest possible expenses. As a California State Licensed General Contractor specializing in commercial and residential building waterproofing and special coatings, we manage any size project that requires waterproofing and any specific type of coating. Our work includes, but is not limited to waterproofing subterranean walls, under topping slabs, Water sport complexes, Plywood and tile decks, and more. 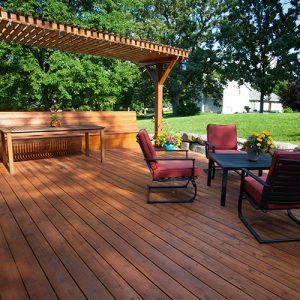 We also offer waterproofing concrete decks in Los Angeles for creating Green decks! Maintaining warranties for decade is something that brings us lots of referrals, compare to companies that disappeared to refuse holding warranties. Our friendly customer service makes us proud of what we do. We educate our customers in regards to products and application procedure that they will receive. 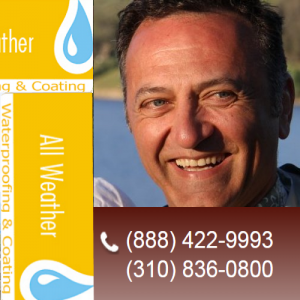 Today All Weather Waterproofing and Coating Inc., works throughout Los Angeles, Santa Monica, Malibu and Beverly Hills in California. All Weather just completed a major upper garage floor resurfacing project at our West LA condo. They used the best quality construction materials for waterproofing, had a very experienced crew, and took the time to explain any underlying issues we needed to be aware of. Mike was great with his communication skills -- keeping us apprised every step of the way. We were in good hands! Highly recommended! I had 2 balconies that needed serious water proofing. Called several companies but not satisfied by the way they handled things. Found All Weather in yelp, read review and decided to call. Mike was very professional, although he was very busy, he made the time to come and diagnosed my problem, explained every thing in details and laid the whole map in front me. I waited I think 5 to 6 months for crew to start work (they were very busy) but I waited because Mike was professional, honest and detailed oriented. Job was done in a very clean and smooth way and I am happy that I waited for All Weather instead of going by other companies. UPDATE: I'm very happy with the services provided by Mike, the owner of All Weather Waterproofing. Mike and his team fixed leaking roof deck that no one else wanted to work on due to liability. Mike took full responsibility, met with me multiple times to answer all questions i had and helped me understand the process. Mike started the job to the minute as he promised and finished the project per original schedule - no delays, no surprises, punctual and responsible work. I highly recommend Mike's company and wish all contractors were like Mike! Thank you!